Home » Finding a BJJ School » How do I find a BJJ school in my area? How do I find a BJJ school in my area? If you find other jiu-jitsu styles, like Japanese jujutsu, Small Circle Jujutsu, American ju-jitsu, know that these aren’t the same as Brazilian Jiu-Jitsu. You can learn more here: What’s the difference between Japanese jujitsu and Brazilian Jiu-Jitsu? If you still can’t find a local BJJ school, you can try looking for MMA gyms or judo clubs, or any martial art that has a good reputation for realistic, practical training. 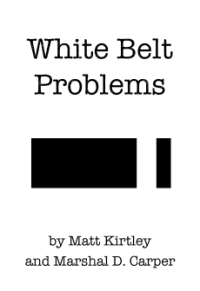 This will help you know what to look for: What makes a martial art effective? Be warned that a lot of sketchy MMA gyms have popped up with the rising popularity of the UFC. It’s hard to tell if a MMA gym is legit or not if you’ve never trained before, so you should research it similar to how you would for a BJJ school (see the link below). Once you find a school, evaluate it against this criteria: How do I know if a Brazilian Jiu-Jitsu instructor is legit?